We strive for excellence and have the expertise to achieve it after 40 years as a Custom New Home and Sunroom Builder in NJ. We’re committed to providing excellent service and a quality product to all our clients. While there are many contractors in the area who build luxury homes and additions. There are very few who strive for perfection in every detail like we do. Our locally owned company has the expertise to ensure that your sunroom is not only beautiful but also molds to your current and future lifestyle. There’s no more harsh an environment for a Sunroom than the high summertime heat and frigid winter temperatures of New Jersey. Reaching over 100 degrees in summer and below zero in winter. The materials and skill of your sunroom builder have to be top of the line. Gambrick Construction uses the superior glass of Anderson, Pella or Marvin. Enabling our sunrooms to be kept cool under the intense sun and warm in the cold winter months. Keeping you comfortable year round is what makes a true four seasons room. Using only the best materials and highly skilled craftsmen are what makes us the top rated Sunroom builder in NJ for over 40 years. With decades of experience as a sunroom builder in NJ, you can be confident that Gambrick has the skill and expertise to ensure your sunroom addition will perform as well in the future as it does the day it’s built. We’ve delivered homeowners throughout New Jersey, top quality sunrooms for over 40 years. Leisure rooms, game rooms, garden rooms, spa rooms, breakfast nooks…we’ve done it all. Our products, skill, and love for our customers set us apart from our competition. Rest assured when you hire Gambrick to build your new sunroom your getting the best. Gambrick Designs and builds custom Sunrooms all over NJ. All of our products and services are handled by expertly trained design consultants and top quality craftsmen for every project. And we offer the single best new home or addition warranty in NJ. Our Sunrooms are custom hand built, one of a kind rooms, not prefab units built in a factory and assembled on site. Each room carries a warranty by Gambrick as well as manufacturer warranties covering each product we use. Gambrick Sunrooms offer unrivaled quality and construction. Made with the finest Anderson, Marvin or Pella windows and doors. Our windows and doors are qualified for ENERGY STAR, a government-backed program to help protect the environment through superior energy efficiency. We also use the best raw building materials from local suppliers such as Woodhaven, Builders General or Northeastern, not big box retailers that skimp on quality to save a buck. Installation also plays a big part. If you buy great windows but install them incorrectly then the quality will suffer. Our staff is trained in how to install windows and doors the right way. You won’t have to worry about leaks, hard to open windows or sticking doors. Using the best windows and doors, and installing them the right way, are one of the reasons Gambrick has been a top rated Sunroom builder in NJ for over 40 years. Unlike other sunroom companies, Gambrick wants to provide you with the highest value for your investment, not just the lowest cost. We go above and beyond to ensure that our products are of the highest-quality, and we never use substandard materials. For a subtle, luxurious space that enhances your home’s exterior, there is no better choice than a new sunroom. Whether you like to eat breakfast while enjoying the sunrise or want a space that emphasizes your beautiful garden and landscaping. 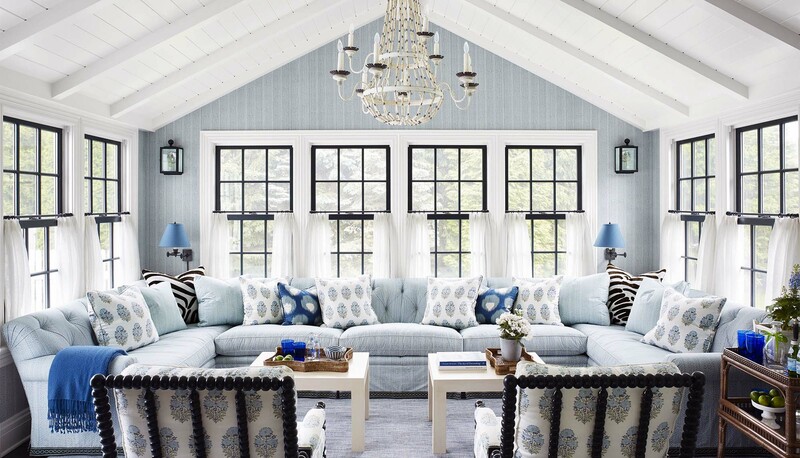 A sunroom is the addition you need. Sunrooms, which are room additions with glass walls, combine the beauty of the outdoors with indoor comfort and convenience, giving you the best of both worlds. Part of the way we measure our success is how often our customers refer us to others and how little we have to spend on marketing. Because of this we strive to be the builders that you proudly tell your friends about. Top Luxury Sunroom Builder NJ, Building the Finest Custom Sunrooms at the Jersey Shore for over 40 years. Firstly, we’ve spent decades perfecting a comprehensive custom sunroom design and build process. Built upon collaboration, open communication, mutual respect and planning. Secondly, our “Design/Build” approach is built on a simple concept. Instead of scattering responsibility for pieces of a project, we rest all the elements of design and construction with one team, from start to finish. Most importantly, this tactic helps bridge any communication gaps that can cause potential problems or delays. In short, design/Build allows us to find and prioritize project details directly with our clients. Eliminating the phone tag and finger pointing that can plague other construction workflows. A design/build approach is yet another reason Gambrick had been the top rated sunroom builder in NJ for over 40 years. Your new sunroom addition shouldn’t look like an afterthought. Gambrick creates sunrooms that look and feel like they were always supposed to be there. Gambrick’s affordable sunrooms bring the serenity of nature into your home year round, rain or shine. Building a new Sunroom with a plan. If we have the privilege of building your new Solarium we’ll develop an understanding of your needs, personal style and goals. Beginning with general questions like how many square foot you’d like, what you plan to use the sunroom for and your budget. Then we get into more specialized details like the various colors, textures, styles and materials you can choose from. Our clients often tell us that the sun room is their favorite room in the house. A beautiful garden room filled with plants and your favorite stuffed chairs. A game room to gather with friends around the pool table or bar. An entertainment room to bring the family together, or as a quiet place for a home office or creative work. No matter how you plan to use your new sunroom, you can rest assured when hiring Gambrick, it’ll be built to the highest quality standards with the best materials. You Dream It, We Build It! Welcome to Gambrick. New Jersey’s number one custom home builder. 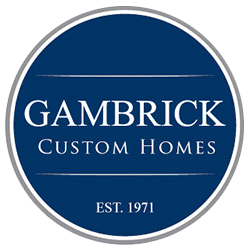 With over 40 years of exceptional craftsmanship, Gambrick is a leader in the field of new construction. We not only offer exquisitely designed homes, we offer them at affordable prices. Our team will design a new home or addition to meet your families individual needs. Whether you want to build your first starter home, up size to fit your growing family or build your dream home. Gambrick can make your dreams a reality. Not only are we builders, we also offer full design services as well. Our easy to reach, professional sales staff can help with any and all your construction needs. As a top rated Custom New Home Builder in NJ for over 40 years we have the experience and expertise to handle any problem you have. We’ve built and renovated / repaired hundreds of custom new homes at the Jersey Shore. Customers like doing business with us because we’re not limited as just a sunroom builder. While building your addition we’ll also address other concerns you have like remodeling a kitchen or bathroom, building you a new deck, or finishing that basement like you’ve always wanted.